With France’s presidential election due to take place in April 2017, MyFrenchLife™ guides you through the French election process. Through all the coverage, polls, analysis and opinion that surround election fervour, it can be easy to lose track of how this all works. So, let’s go back to the basics of the French election system. What form of government does France have? France is often seen as the birthplace of modern democracy, and the terminology of ‘right-wing’ and ‘left-wing’ that we use today actually derives from the French Revolution. Supporters of the king sat to the right of the National Assembly president, and supporters of the revolution sat to the left. Having ditched its monarchy in 1792, the president now replaces the king as the head of state in France, and is elected by the popular vote of French citizens. One term lasts five years, and a president can serve a maximum of two terms. In what is called a semi-presidential system of government, the president also appoints a prime minister, who then forms a government. What are the main political parties in France? As well as the main centre-right and centre-left coalitions that dominate the French election process, France has many minor political parties. Factions and splits are common, new parties often emerge and coalitions are frequent. Both far-left and far-right parties hold sway, with up to a third of the population voting for the extreme right or left. 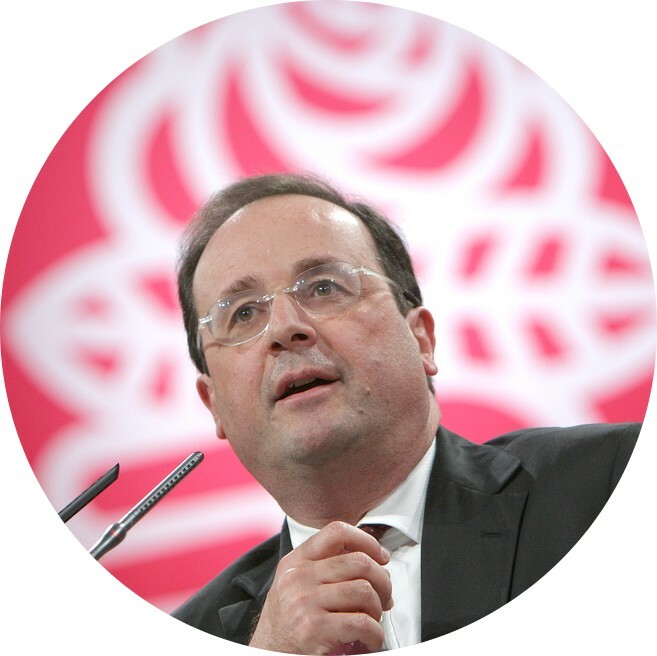 Currently in power is the the Parti Socialiste (PS), the largest centre-left party in France. Further to the left of the political spectrum, we have Lutte Ouvrière, and the Parti Communiste. In the centre is Mouvement Démocratique, MoDem for short, which aims to bring together those on the left and right. Les Républicains (previously UMP) is on the centre-right, and is one of the biggest parties in France. On the far-right is the Front National. At least 16 parties are expected to put forward candidates for the presidency in 2017. How do French parties choose presidential candidates? Traditionally, senior party members would decide the candidates, but in 2011 the Parti Socialiste held its first American-style open primary, where members of the public voted for a nominee after televised TV debates. Les Républicains have followed suit and now also select their nominees in this way. 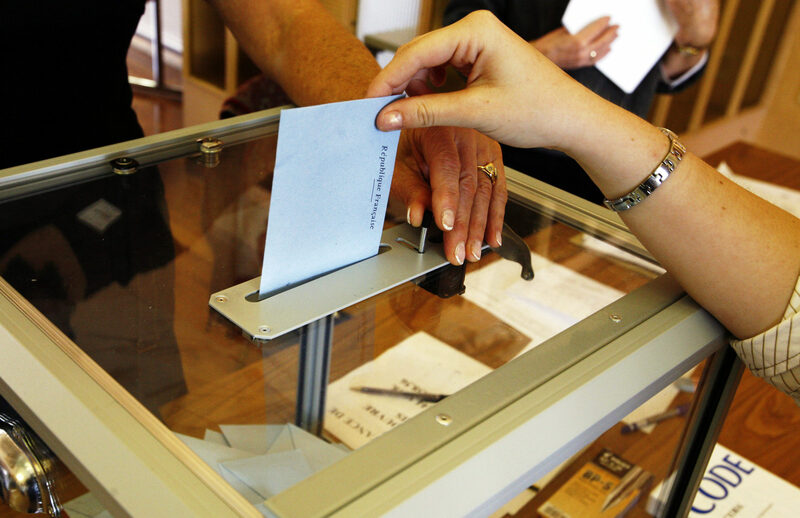 Independent candidates can run providing they are French citizens and on the electoral register, though historically, they tend not to do well. Anyone running for presidency in France needs to gather 500 signatures of support from elected officials from at least 30 departments, with no more than 10% from the same department. Each official can sponsor only one candidate, which makes it less likely that they will support an independent or fringe candidate. How does the French election process work? 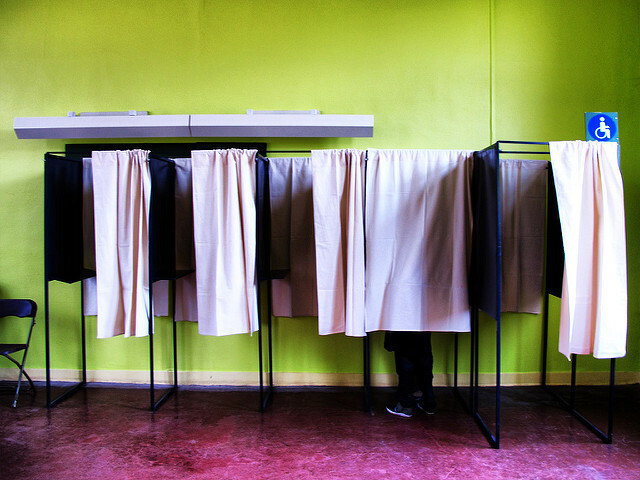 In coverage of French elections, reporters often mention the ‘two-round system’; this refers to the two stages of voting, also called run-off voting because it works by a process of elimination. 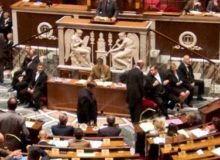 All major elections in France (except to the Senate) are conducted in this way. French people cast their votes on Sundays, and all political campaigning is to stop at midnight on the Friday before the election. During the first round, every candidate appears on the ballot. If one candidate receives an absolute majority at this stage then the voting process is over; however, this has never happened. The two candidates who receive the highest number of votes then move on to the second round to compete for the presidency. This final round is usually held two weeks after the first. In 2017 the first round will be on Sunday April 23, the second on Sunday May 7. French people cast their votes on Sundays, and all political campaigning is to stop at midnight on the Friday before the election. Interestingly, it is forbidden to publish any sort of political poll or estimate on the Sunday of the election until after the polling booths have closed. Voting is not compulsory, but since citizens are automatically registered at the age of 18, almost everyone can participate. This is reflected in the high voter turnout: 80.3% of the 46 million eligible to vote in the last presidential election. According to Helen Drake, author of the book ‘Contemporary France,’ the high voter turnout is due to “a willingness to be seen, to be counted and to make a noise” that characterises French political life. Speaking to the BBC, she states that the French consider their politics “exceptional”, a view that is anchored in the French Revolution of the 1700s and still affects public life today. Unlike in the US, the French election process is designed to only deliver a president who is endorsed by an absolute majority of the electorate. How will the French election process play out in 2017? After the shocks of Brexit, Donald Trump and the continued rise of the far-right in France, the 2017 presidential election is set to be an interesting one. 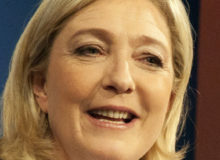 There is much discussion surrounding the electoral chances of Front National party leader Marine le Pen. 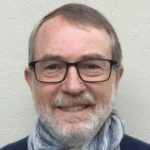 English academic Paul Smith expresses the widely heard question in his article in The Conversation.com: ‘How Marine Le Pen could become the next French president’. He says: “There is every possibility that Le Pen will be ahead after the first round in April 2017 so the question is how much of a chance she has in the second round?”. Especially given the “left appears to have collapsed”. 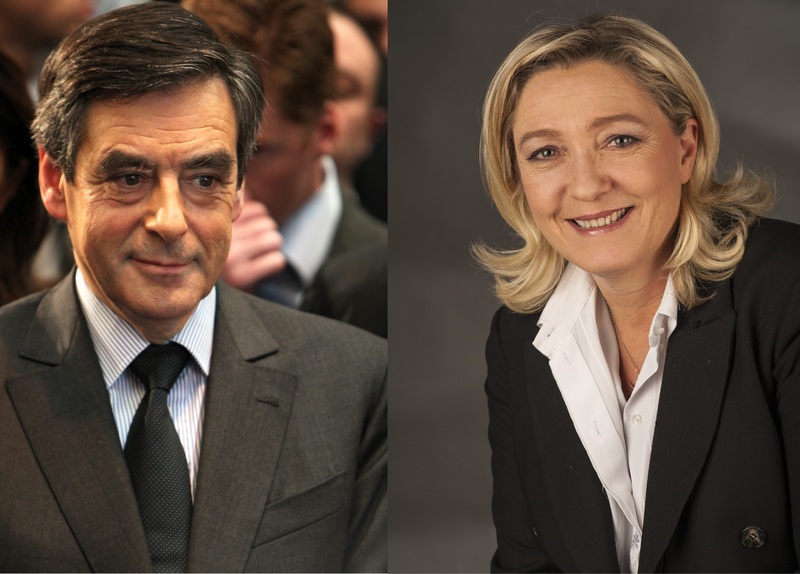 However, since the surprise victory of François Fillon – a conservative Catholic from rural France – as the Républicains party candidate, the relevant question may be: will we see a face-off between Le Pen and Fillon, and who will dominate? How will this all play out? Who knows! But now you can go into this year’s election season confident that you have your facts straight about the process. and the second round on Sunday May 7 2017. Watch this space for more informative articles about the election process and the election progress into 2017. What do you think of the how the French election process works? How does it compare to the systems in other countries? How do you think it will play out in 2017? Share your thoughts with us in the comments below. 1. ‘Election MG’, Rama via wikimedia commons. 2. 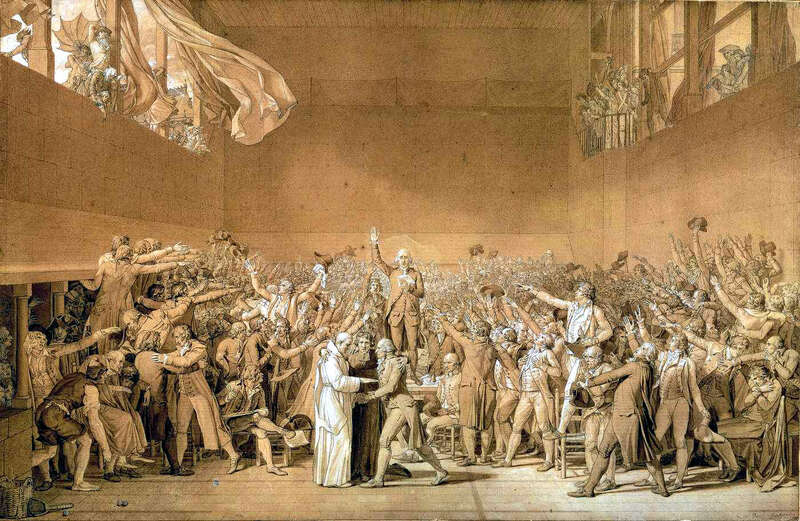 ‘Forming the National Assembly’, Jacques-Louis David via wikimedia commons. 3. ‘François Hollande, Congrès d’investiture’, philippe grangeaud / solfé communications via flickr. 4. ‘Solitude’, Mortimer62 via flickr. 5. 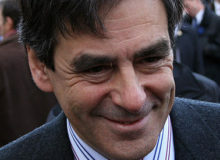 ‘Francois Fillon’, Rama via wikimedia commons & ‘Marine Le Pen’, Foto-AG Gymnasium Melle via wikimedia commons. 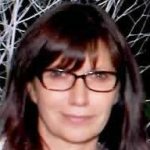 President Macron – a new French revolution? Great article, very informative. Thanks Sophia! I felt the article about the French electoral process is interesting but I am still not clear on one aspect of the primary voting process. As an American, I am very familiar w the primary system and I think it has been a good idea in France to get the decisions about candidates our of the smoky back rooms of politics and a bit more out in the public for vetting. However, when a (center left wing) friend of mine told me she had to go vote in the primaries, I was surprised as I knew it was the primary day for the RIGHT wing. 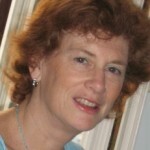 Later she confirmed to me her allegiance to the left parties and normally she has voted socialist. she said that despite this, the primaries are open to EVERYONE and that merely by paying 2 euros, any French citizen, of any political orientation can vote in every primary. 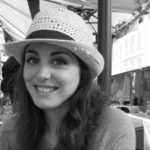 Her objective was not to support any particular right wing candidate but to “block Sarkozy and pick a candidate able to beat le Pen”. In most states in the US you cannot vote in the primary, say for the Democratic Party unless you are a registered Democrat. This is meant to stop the interference coming from Republicans who might well vote otherwise in the Democratic primary (or vice versa), choosing the worse candidate in order to favor their own candidate in the general elections. I do not understand how in France, this “open voting system” in the primaries does not create a lot of similar interference? I would appreciate an explanation of this, if possible. The primary system was introduced for the first time prior to the 2012 Presidential election by the Socialists who designated François Hollande this way after DSK’s New York scandal. He would have been chosen otherwise. Manuel Valls who was running too got only 3%. 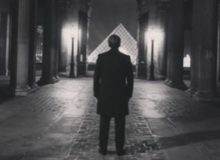 At the time since Nicolas Sarkozy was the natural candidate of the Right ( Les Républicains), nobody thought that an open-to-all primary would alter the course of the election. It was the first time and this process went so well that both main parties (lesRépublicains and the Socialists) decided they would choose the best candidate this way for 2016. Everybody praised this system. Little did they know the stakes would be much different 4 years later. And that they would be facing the same issues as in the States, i.e. people from the opposition voting in order to help elect the one with most chances to lose against their own candidate. For instance, many socialists or sympathizers voted for Alain Juppé because they believed a moderate candidate on the Right would be preferable, should the Socialists lose the election (which is most likely). The polls predict Marine Le Pen will be present along with François Fillon (the very conservative’ Les Républicains’ chosen candidate) at the second round now. So my answer is that the French are not familiar enough with this primary system yet and realizing now that it has drawbacks and doesn’t necessarily work all the time. Some people argue that Hollande might have been the best candidate at the time but obviously not the best President. Emmanuel Macron (let’s say, center left) and JL Mélenchon (extreme left) don’t want to be part of next Socialists primary. Yet it seems that the one who is most likely to come 3rd would be Emmanuel Macron and not a Socialist. So the party is in crisis and dishevelled and the primary ticket won’t solve anything. Hope I was clear enough for you and Ruth Ann! Thanks for the explanation Jacqueline! We had a similar issue in the UK when choosing the Labour party candidate – you pay a small fee (ostensibly to become a member of the party) and then can vote for who you want as leader, but at the time the papers were saying people from the political right were signing up to push in a weak candidate. I think in the end it was decided that the ‘fake votes’ had been a bit exaggerated by the media, but we’re not as political in the UK as France so perhaps more people would interfere in the primaries there. I suppose it’s a bit of a flaw in this sort of system. Thanks Sofia for your further explanation on the primary voting system in France but from your answer it would appear that the French are VERY new at how primaries work and had simply not thought at the first time experience during the last elections about how allowing everyone of every political color to vote in every primary could create interference w people from the opposite side voting for candidates that they would never want to see in power, but doing so to create some kind of interference to block someone or to favor, in the end their own candidate from the other side. Are any of the French politicians noticing this distorting effect? (The Fillon surprise for example?) Is there any plan to change things? Or is it just considered “normal” and the French see some kind of advantage in having this “interference”??? It’s fair to say that the French are new to the primary system and are still figuring it out. In the US, by contrast, we’ve been at it for roughly 40 years and have developed some general rules of the road. One, as you point out, is closed primaries at the state level. Another is that candidates tend to play to their base during the primaries (Democrats to the left, Republicans to the right) and then tack to the center in the general election. Juppé got this wrong in the Républicain primary, positioning himself as a centrist in the hopes of attracting Socialist votes. This failed when a) not that many Socialists showed up and b) Républicain primary voters plumped for a conservative candidate. Fillon, who followed an American-style playbook, won big. I expect we’ll see this sort of positioning by primary candidates in the future. This is a formidable analysis of the French political system which will enhance your understanding of the dynamics of French politics.